Office 365 and other SaaS apps offer a number of advantages over premises-based apps, from easy access and deployment to lower costs. A key advantage of SaaS apps is IT's ability to shift the burden for app and infrastructure security to the cloud vendor while data security remains the responsibility of the enterprise. Migrating to Office 365 introduces several new avenues for data leakage: one-click sharing, desktop sync clients, unmanaged device access, and many more. Bitglass and (ISC)2 presents Episode 2 of our CASB Wars webinar trilogy on November 17, 2016 at 1:00PM Eastern where we explore the security gaps in Office 365 and how a Cloud Access Security Broker (CASB) can help mitigate the threat of data leakage across all SaaS apps. 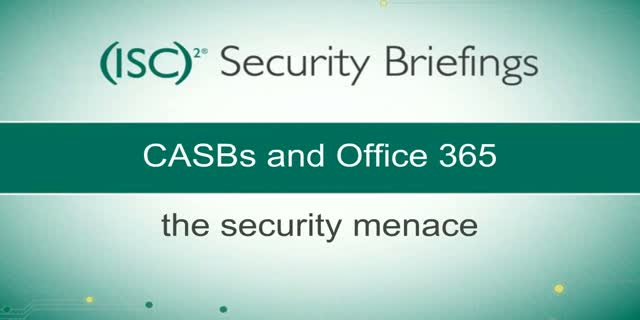 Using real-world use cases, see where native Office 365 security falls short and how a CASB can protect data end-to-end, from cloud to device.